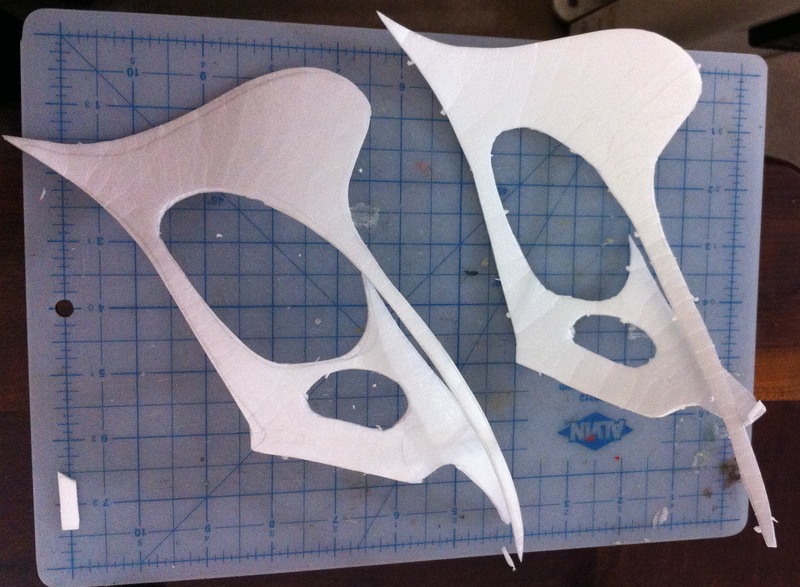 After more than a month without new pterosaurs, I have just started a new project. And this one will be for a museum. It’s a Tapejara wellnhoferi, a small (1.6 metre wingspan) pterosaur from the Cretaceous of Brazil. As before, I will do my best to make it as accurate as possible using as sources photos, articles, and descriptions of fossils, as well as reconstructions based on that material. Most of the skeleton (90%) will use as main sources Tapejara wellnhoferi specimens. The few bones that are not available will be borrowed from related species. 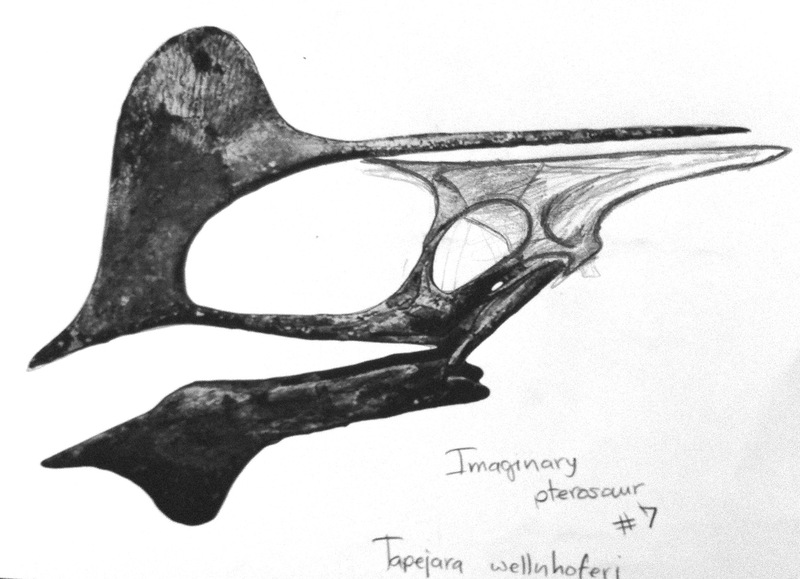 Six specimens recognized as Tapejara wellnhoferi (Pterodactyloidea, Azhdarchoidea, Tapejaridae): from these I will have enough information to build 90% of the skeleton. They are identified as MN 6595-V (holotype), AMNH 24440, IMCF 1061, SMNK PAL 1137, SMNK PAL 3986 and MCT-1500-R.
One specimen recognized as a Tapejarid (Tapejaridae family) identified MN 6588-V, which consists only of the body (no skull or limbs) and will be used as a reference for the vertebrae that are missing (dorsal and thoracic). Other species will be used as references for the missing parts. Metacarpals 1, 2 e 3 (fingers) will be borrowed from Tupuxuara leonardii (Pterodactyloidea, Azhdarchoidea, Thalassodromidae), and caudal vertebrae from Anhanguera piscator (Pterodactyloidea, Ornitocheiroidea). The Tapejara’s size will be based on the largest specimen scaled 25% so that it will have a 2 metre wingspan (which is probably near the actual size of an adult Tapejara). 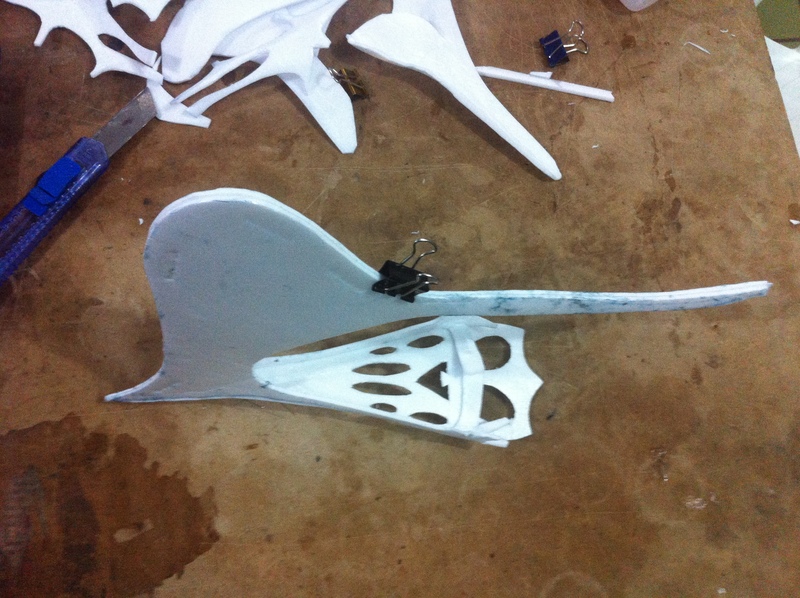 It will be assembled in a flying position. But it can, of course, be assembled in other positions since the parts will be build individually. I started using the Iwaki specimen as a reference and filling the missing parts with the other specimens. This is a sketch for a first prototype. I made the prototype in the actual size (not yet scaled up). For the actual model, I decided to use a different reconstruction as a reference (from Wellnhofer P, Kellner A. W. A (1991) The skull of Tapejara wellnhoferi…), and sketched some slices and views. 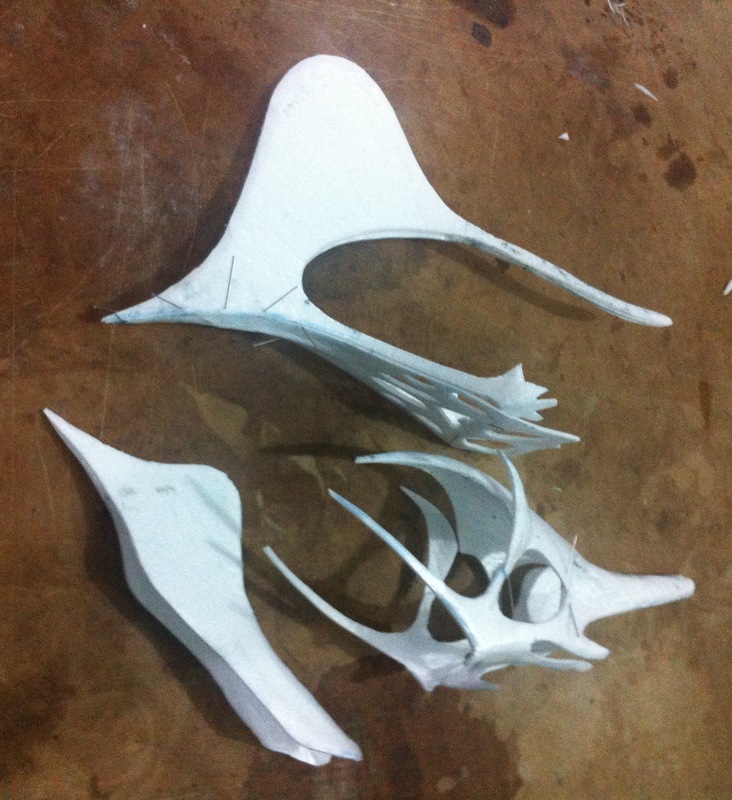 I also decided to make the skull separating the main bones. 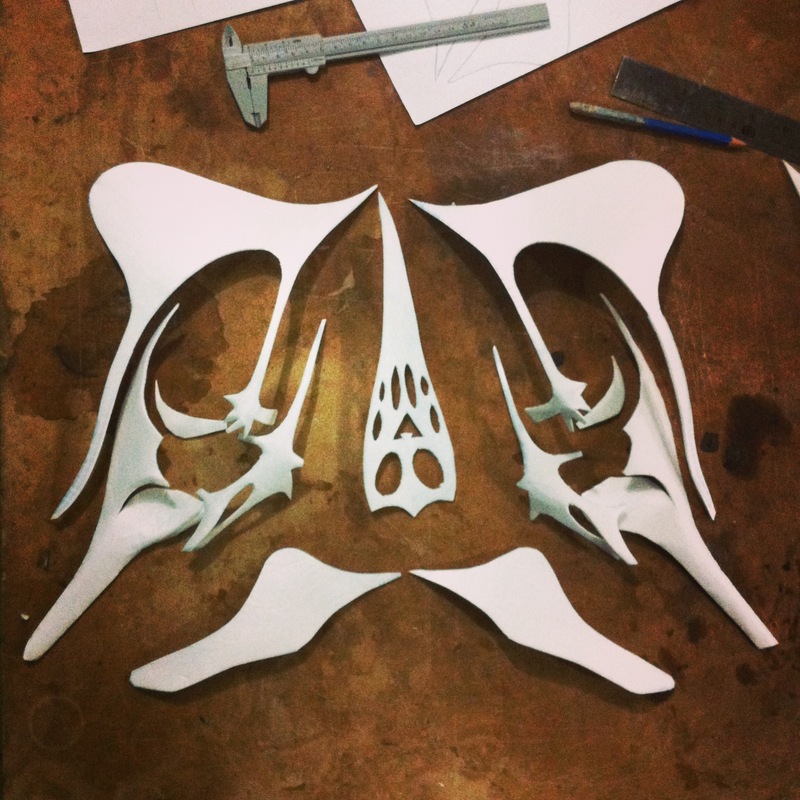 These are the skull parts. This is the anterior part of the skull attached to the palate. 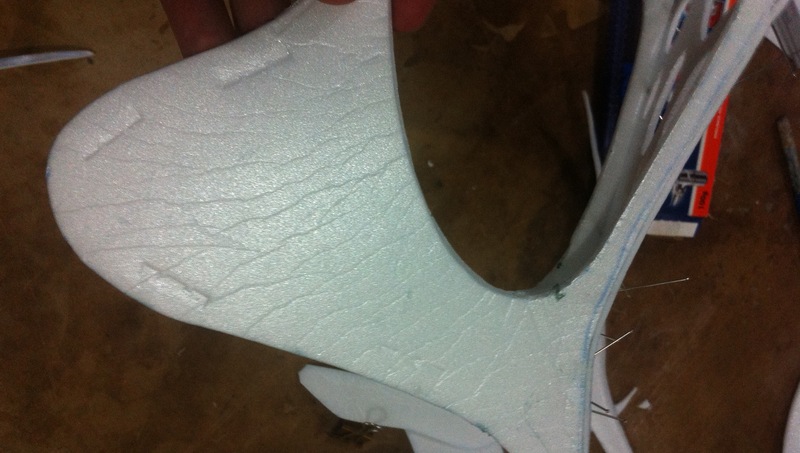 I previously creased the crest to resemble veins and arteries (later I will enhance this effect with a lighter). 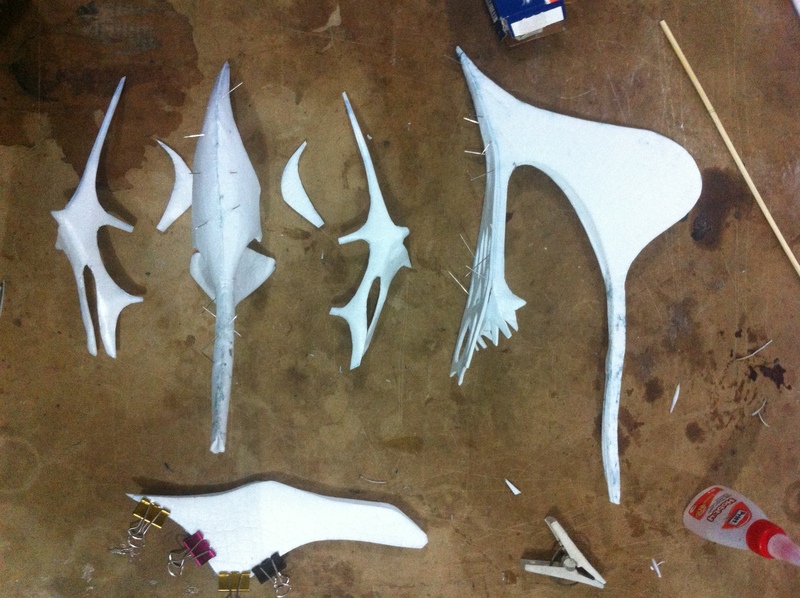 Rostrum/crest, mandible and braincase assembled. Only three parts left to assemble: a) mandible, b) anterior part of the skull with rostrum, crest, palate and caudal bones, and c) posterior part of the skull with braincase, jaw articulation, lacrimal, orbit, etc. Tomorrow we will assemble the cranium.